Active power flow on transmission lines can be controlled either by altering sending end voltage or receiving end voltage. But, whenever voltages are altered for controlling active power, it has a bigger impact on reactive power component. Hence, this method is not effective. Total line reactance can be lowered by placing series capacitor to compensate line inductance. This increases not only active but also reactive power flow. Hence, this method is also not effective. 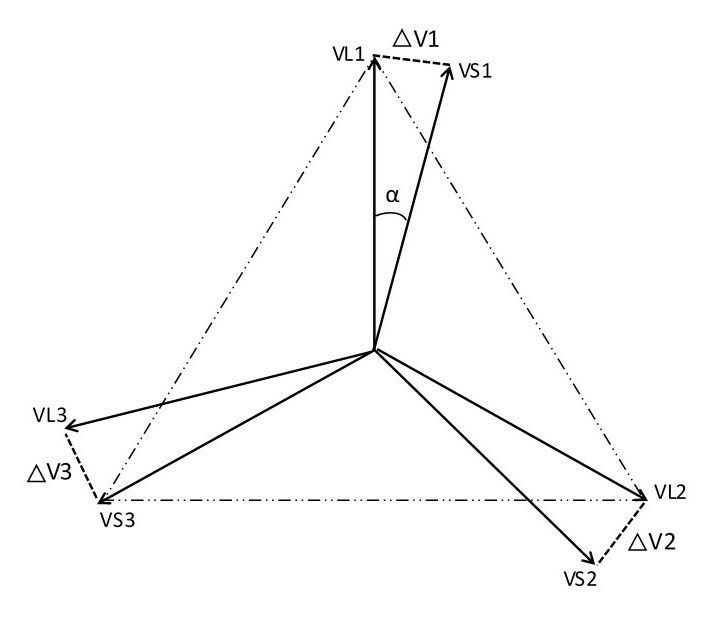 By altering the power angle, active power can be increased with decrease in reactive power and vice versa as per above formulae.
. lines by altering power angle.
. side and secondary side voltages. * Both magnitude and direction of power flow can be controlled by varying the phase shift. The phase is obtained by connecting the windings in an appropriate manner. Connections are based on two separate transformers; one variable tap exciter to regulate the amplitude of the quadrature voltage and one series transformer to inject the quadrature voltage in the right direction. Creates an output voltage with an altered phase angle compared to the input voltage, but with same amplitude. Creates an output voltage with an altered phase angle and amplitude compared to the input voltage. The following is the configuration of the direct type asymmetrical PST. The tap controls angle between sending end voltage and receiving end voltages by inducing a quadrature voltage. 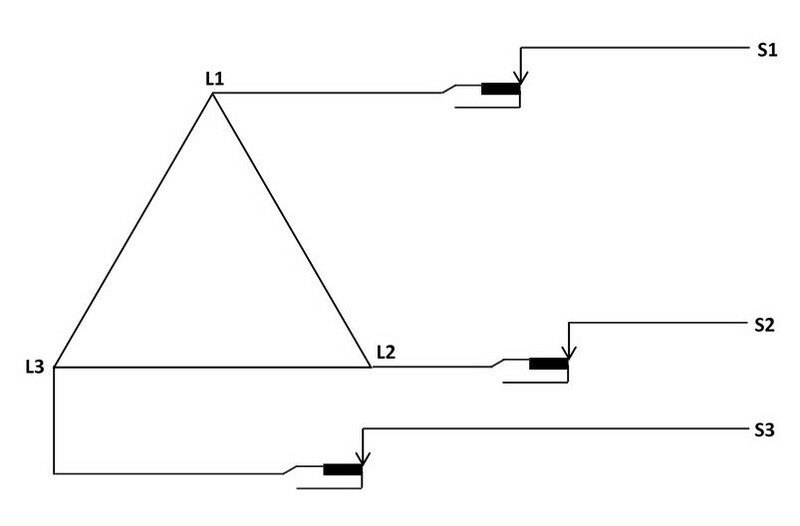 The direction of the phase shift can be controlled by switches. 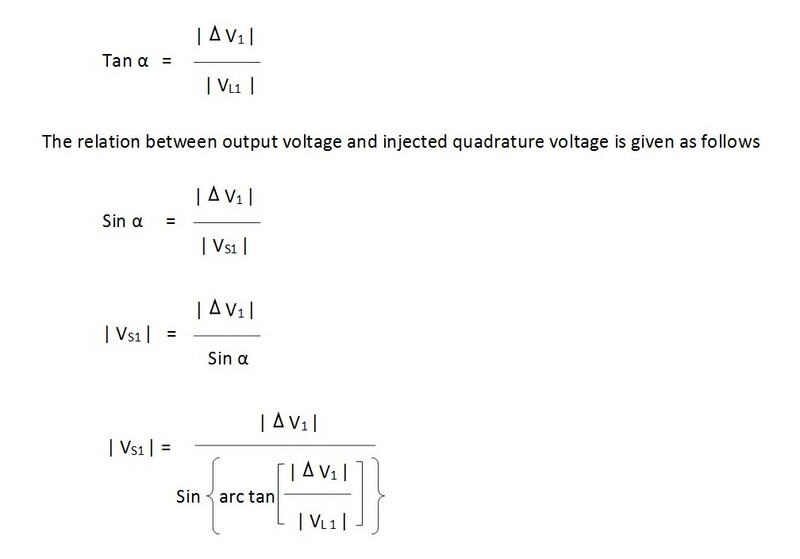 From above equation the output voltage is always greater than the input voltage. 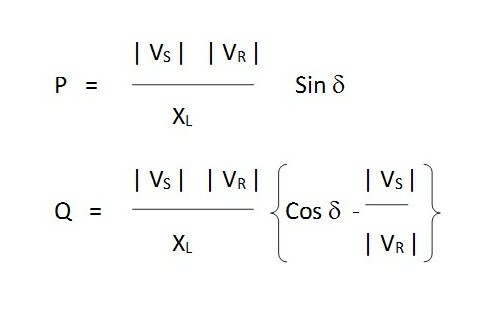 Substitute α in the following equation for real power transmitted over the transmission line.